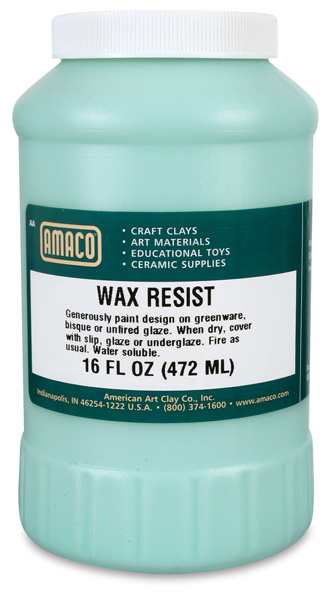 Amaco Wax Resist is a wax emulsion that, when applied to greenware, bisqueware, or over unfired glazes, "resists" the application of glazes, slips, and underglazes. 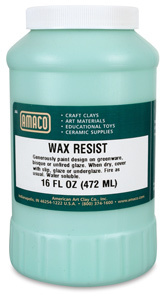 A coloring agent makes it easy to see where Wax Resist has been applied. The resist and the color will burn off during firing.